There's something about "classified" information that we just can't get enough of, but the irony there is we're not allowed to see it. There's something about exclusivity, that's why people love VIP rooms. There's nothing "VIP-er" than the highest security clearance you can get. That's what you need to see "classified" things. 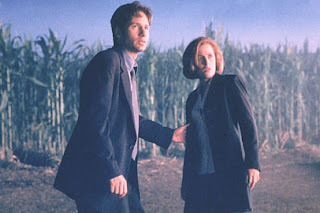 Whether your a paranoid David Duchovny, or Pamela Landy it's inevitable that you can't get to the bottom of things without classified information. Are there aliens being held in Area 51? Who shot JFK? How many licks does it take to get to the tootsie roll center of a tootsie pop? Important questions without a doubt, but the government doesn't want us to know these things, at least not now. There has been some talk that the JFK files would eventually be opened but I think we all agree that the mindblowing that would take place if either the Area 51 or that tootsie pop information became public would be just too much to bear. In the wine world, declassifying wine is typically a result of either too much fruit from a particular vintage that can make it challenging if you're trying to keep the production low on a specific label, or vineyard designate wine. It can also be a quality issue. If the wine isn't quite what you were hoping for to represent your top tier you might declassify it. This happens often in Bordeaux and Burgundy where a wine may not quite make it to their Grand or Premier Cru status. Typically these are still very good wines that can often be found at a bargain. Today's Friday Find is declassified. So even someone with your security clearance can get a crack at it. 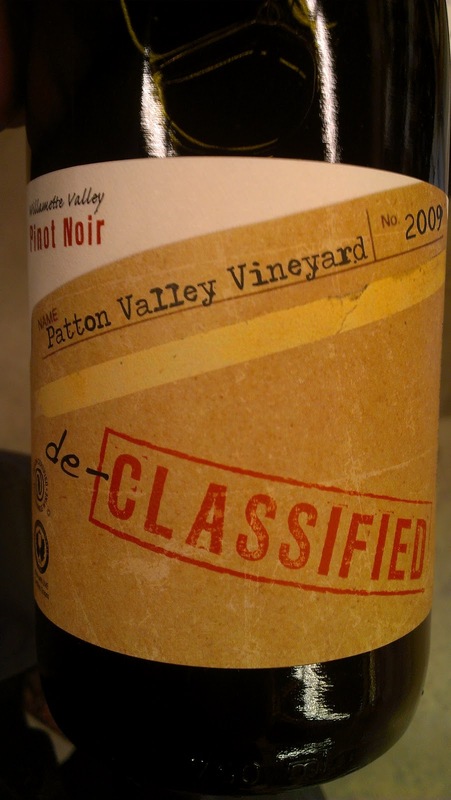 The Declassified Pinot Noir from Patton Valley Vineyards is only $20 and it offers you an opportunity to try a quality Pinot and a nice price. The 09 is what I tasted from Esquin in Seattle and it's got a lot of bright raspberry and cherry flavors, and hints of barrel spice or faint chocolate. The offering is no longer available from the winery but you can track down the 2010 here. As Patton Valley proclaims not all wine has to be serious, even though top secret government programs probably should remain that way.